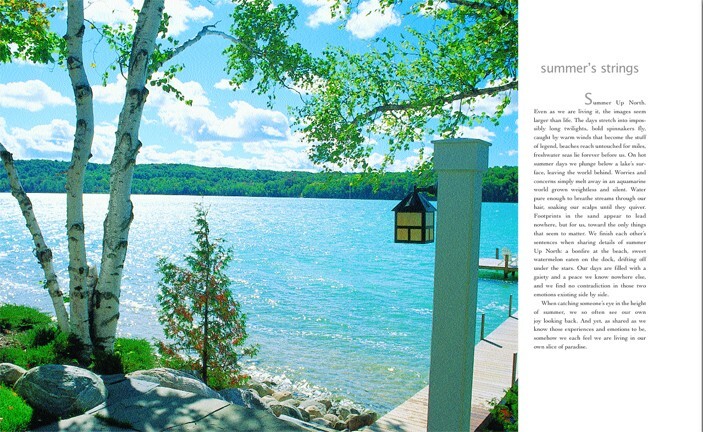 Beloved essays about the beauty, wonder and joy of life lived in Northern Michigan paired with gorgeous photography culled from a decade of Traverse, Northern Michigan's Magazine., written by its founder, Deborah Wyatt Fellows. 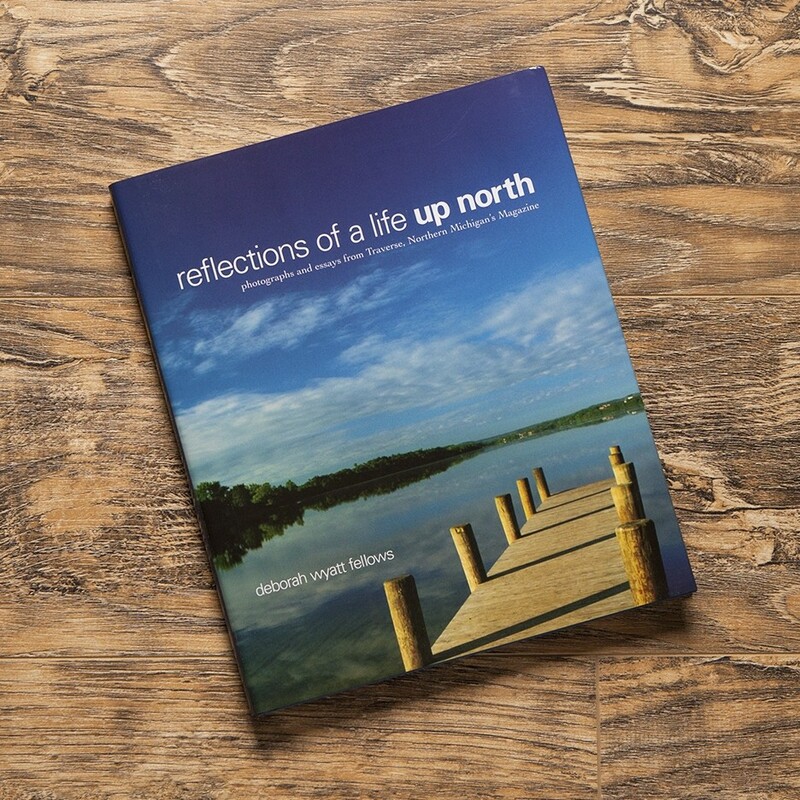 Now in its second edition, this gorgeous keepsake, Reflections of a Life Up North, will transport you to Northern Michigan the moment you open its covers. 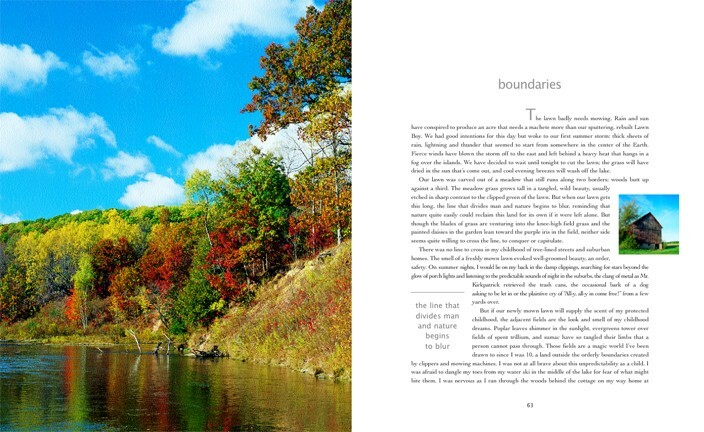 With heartwarming essays by Deborah Wyatt Fellows, founder of Traverse, Northern Michigan's Magazine, and stunning photography, you'll treasure Reflections for years to come. 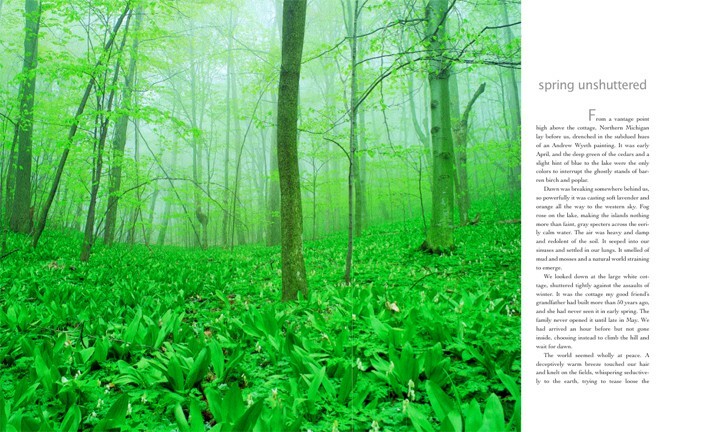 A limited supply of the first edition is still available. 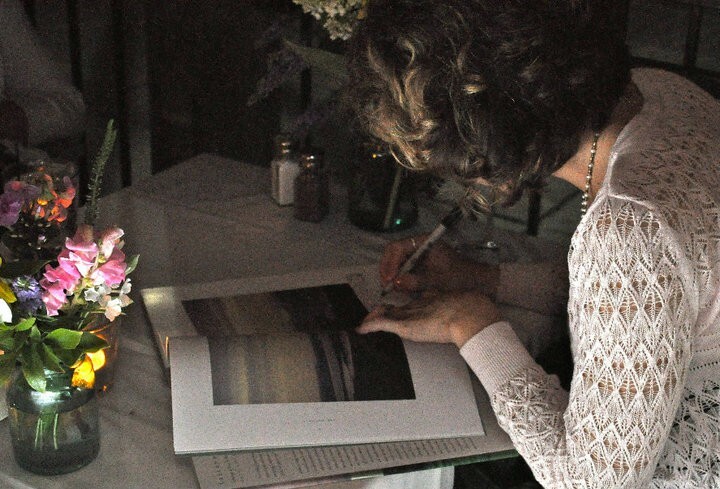 Personalized inscriptions by the author are also available by request. Use the gift options in the check out process to indicate to use that you'd like a special inscription, or send us an email at orders@traversemagazine dot com, please include your name, last 4 digits of the order number and information you'd like Deb to include when she writes to your gift recipient. You may also call us with your order from 9:00 a.m. to 5:00 p.m Eastern at (231) 941-8174. 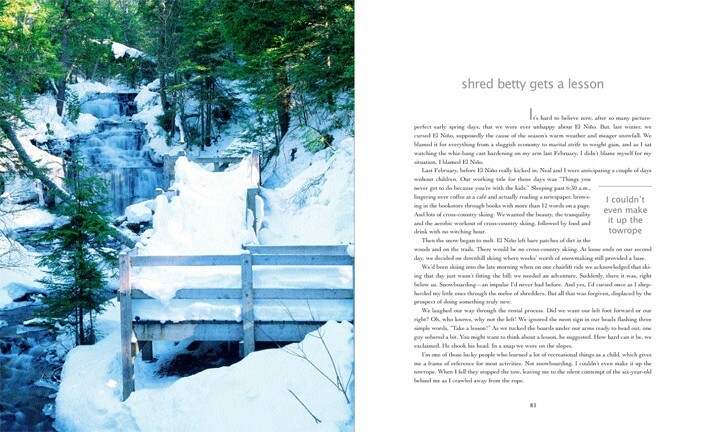 This story and dozens of other essays written by Deb Wyatt Fellows are captured in Reflections of a Life Up North with some of stunning photography of Traverse, Northern Michigan's Magazine. One balmy night last summer two of my sons and a friend commandeered the kitchen preparing for their first solo fishing trip on the lake. It was a process shaped both by the coiled energy of pre-adolescent males and the orderliness of the men they would one day be. More food was packed than could be eaten in a day much less during an excursion that would surely end with the arrival of mid-morningís hot sun. They all fell asleep talking about fish to be caught and the reliability of alarm clocks. The lake at dawn was glass still, just a slight quiver running down its spine. I hugged myself against the cold, ostensibly, and watched as our oldest, Ben, 11, our second, Peter, 8, and their pal loaded gear and rations into the boat, which, at 10 feet and light enough to hoist on a couple of shoulders, seemed suddenly entirely too small. The motor, however, loomed large and too powerful. This was the first time Ben would take the boat out of sight, into the channel at the end of our lake where the marshes make for great bluegill fishing. They took off, Peter waving back at us enthusiastically, Ben's gaze locked on the course before him. I could hear the prop cutting the water long after I could make out the curve of their faces, the shape of Ben's slim back tense with the drama of the morning. If the gift of a boat had begun a rite of passage, then this trip, over a year later, was its completion. Neal and I had wanted to find something for Ben's 10th birthday that might represent new freedom and the responsibility that comes with it. The idea of a small boat that each of our children would earn the right to drive alone at age 10 came out of my own experience. I had been 10 years old myself the first time I climbed into the scarred, impossibly heavy rowboat that came with the first cottage my family rented. My older siblings lived in the other boat, a turquoise and white speedboat that pulled kids from all over the lake on water skis, sometimes six at a time if there were an audience. That old rowboat had been my shot at some kind of freedom. At the start of that summer, my mom stood on the end of the dock with me pointing to liquid landmarks, defining my boundaries by the color of the water. Dark, almost black was absolutely off limits. I know now how torn she must have been wanting to create a large enough arena in which I could feel some sense of adventure, but seeing all that could go wrong for a child alone on the lake. As for me, I saw nothing but possibility. Now there I was, the parent left standing on the dock. On the kids' behalf, I felt elation. And some kind of sadness: time had come for adventures without me. And that was as it should be. Neal and I began looking for their return around 10 a.m., asking each other only occasionally if we thought they were all right, laughing about how much they'd probably eaten. Sometime about an hour later, I picked them out on the horizon and we walked, didn't run, to the dock. There's a glow that takes over children's faces when joy has got hold of them. And there it was. I could feel it, down to my bones. They tumbled out of the boat, falling over each other's sentences as they shared the story of what had, in fact, been a small crisis. The motor had died, and Ben hadn't been able to restart it. They had rowed toward shore until their arms ached and got close enough for Peter to jump overboard in his life jacket and swim to shore. While Ben kept working on the motor, Peter found a kind man who helped them get the boat to shore and discovered theyíd let a rope tangle in the prop. He cut the rope out, saw the motor restarted and wished them well. The food was all gone. There were no fish. What they were left with, what we all were left with, was the knowledge that in the face of a real challenge they'd survived perfectly well on their own. Ben had wanted a Gameboy for his 10th birthday. Actually, he'd wanted a Gameboy for every birthday since six. We knew heíd rather have had a Gameboy than the right to drive a small fishing boat, but he'd been gracious in his disappointment. I remembered that on an evening after the fishing trip as he took the boat for the last spin of the day in a light so beautiful it made my heart ache. I watched his blond head glow in a world turned gold, and for a little while I could make out the name he'd carefully lettered on the transom with his father a few nights after his birthday: Gameboy.